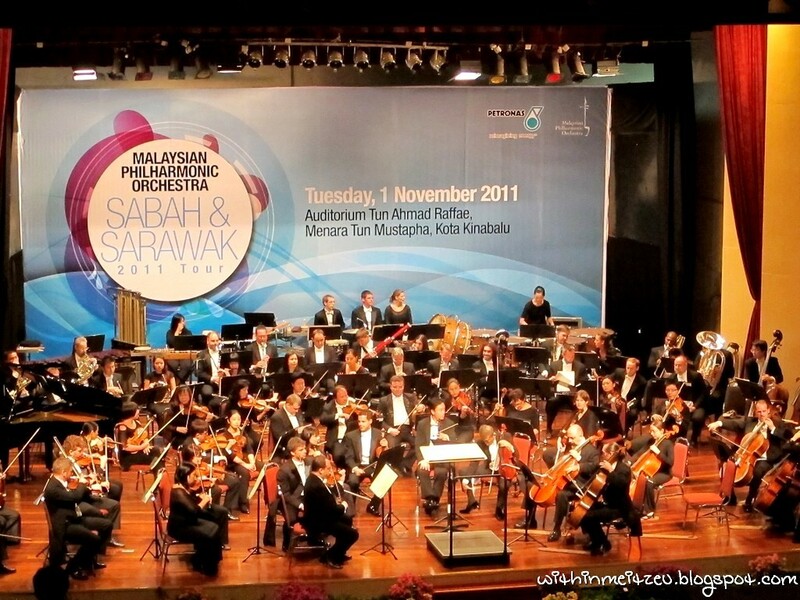 Musical Night with Malaysian Philharmonic Orchestra held in Kota Kinabalu, Sabah. Haha ;D Back to post. 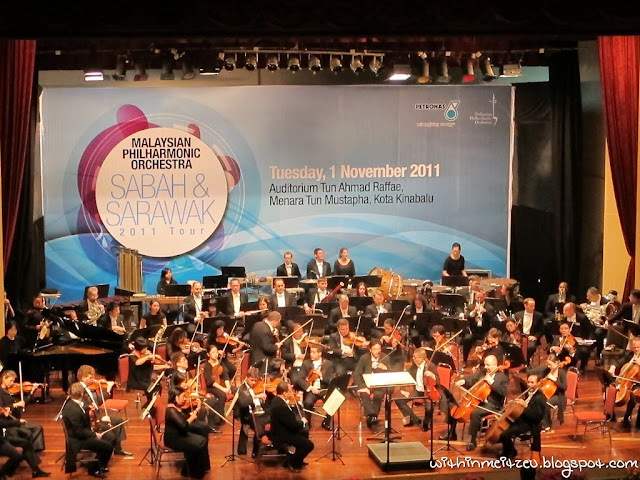 I'm quite lucky that I was there to experience one of the must attend Orchestra here in KK. After years of performing with pianica on the stage while I was a primary student in a band team, I think this is my first attempt to enjoy such wondering Orchestra at our historical building of Menara Tun Mustapha. Finally, MPO come to Sabah to perform in KK City! Audiences reached on time (seldom seen in Malaysian way) to wait for the performance to start, and everyone were silent during the performance going on. No matter what, I still saw people taking photographs in the Auditorium! 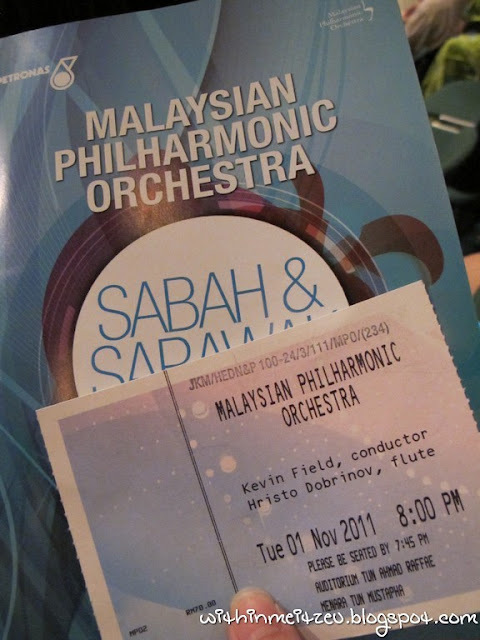 The whole performance was nice, however there's part where audience were disappointed with students (with tickets paid for RM15.00 each person.) whispering at the corner where most of us could hear. Non the less, there's people who asked them to KEEP QUITE!! WTH!! Talk the whole day still not enough is it?? Musician walked to their seats, tried to warm up themselves a little before the performance started. 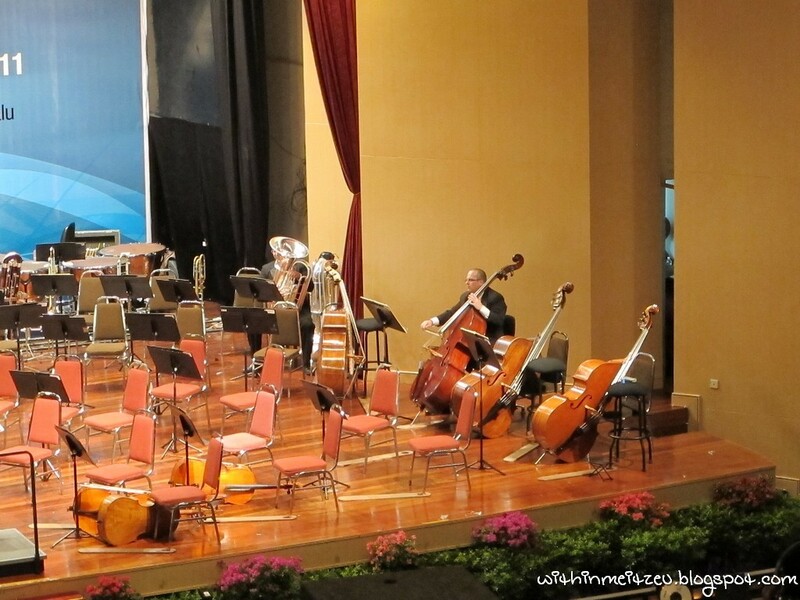 Sorry to say this, but WE WERE NOT ALLOWED TO TAKE PHOTOGRAPHS during the on going performance, therefore I only managed to take a few of the group pictures of them on stage with their music instruments, the violins, the base, the trumpets etc etc..
For other photos I took, just scroll down! Interesting Orchestra with good looking people too! 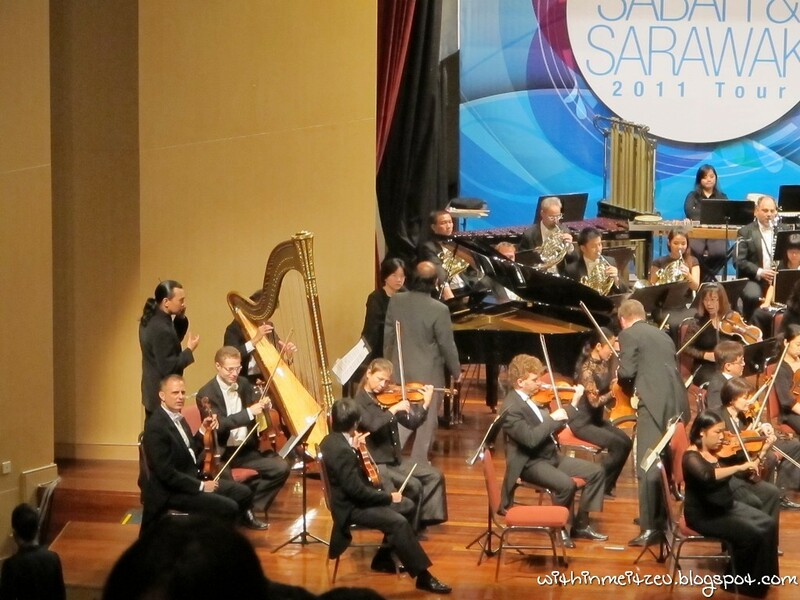 :P The Orchestra was conducted by Kevin Field, Flute played by Hristo Dobrinov. Guess what? I had listened to familiar Mozart Music that night and they even played Malaysian Evergreen Folksongs like "Jong Jong Inai", "Chan Mali Chan" and Rasa Sayang" with nicer version! And before the performance ended, they performed with our famous local song - "Bridge of Tamparuli" (Jambatan Tamparuli) instead of "Sayang Kinabalu". One of a kind experience whereby everyone were excited with it!! How good was that?? Anyway, a nice Orchestra to be experienced once in a while. 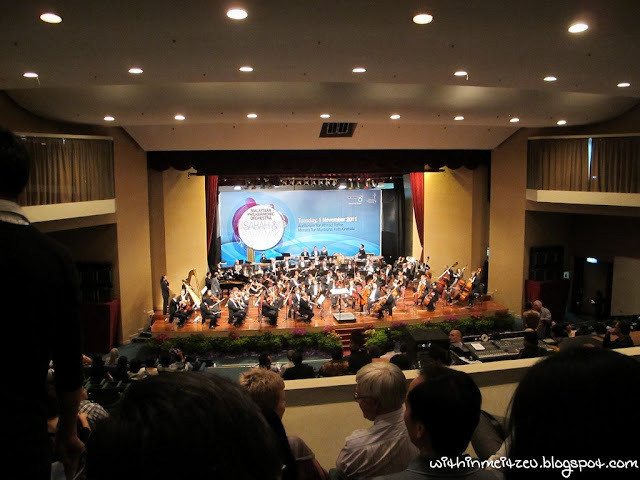 And I would love to enjoy future must attend Orchestras performance happening here in KK!